(Also, I have a bonus at the very end that will help you create epic pieces of affiliate content that rank in Google). But before we get to that, how about a quick introduction? My name is Mike Pearson and I run the course Stupid Simple SEO, as well as blog over at Stupid Simple SEO and Credit Takeoff. 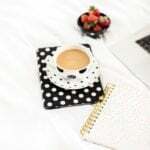 Specifically, I help bloggers with SEO strategies to help increase their organic traffic and sales, and I try my hardest to do it in a way that’s practical, easy-to-follow, and most importantly, is written in plain English. Because even though a lot of people make SEO out to be this extremely complicated process … when you boil it down to its core concepts, it really isn’t that hard. Before I started my SEO blog, I launched a site in the outdoors niche in early 2016. At the time, I had no social media following, no blogger connections, and no one knew who I was. 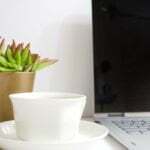 But I knew that SEO and affiliate marketing were a killer combination, and if I could rank my site in Google for lots of “bottom of the funnel” keywords (more on that below), I would be able to drive lots of organic traffic to my site, and then convert that traffic into buyers using affiliate marketing. Fast forward 24 months to the end of 2017, and that’s exactly what I did. 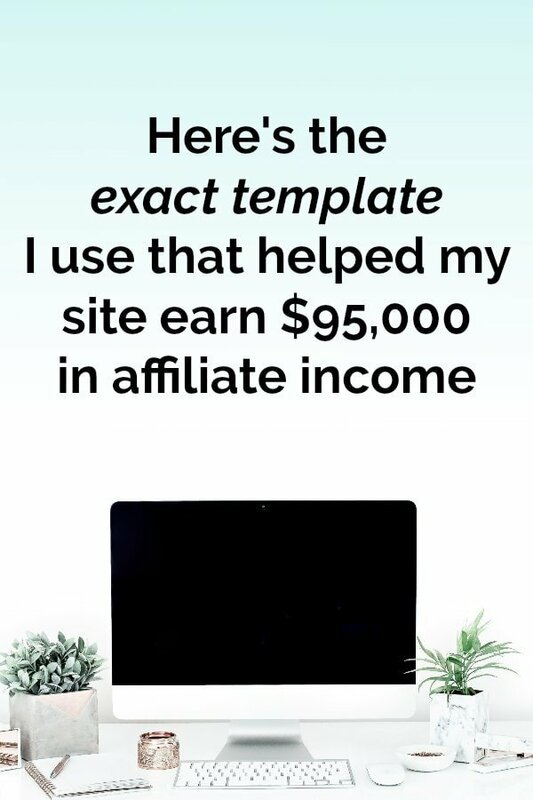 Not only that, but this affiliate income was largely passive as I only worked on my site a few hours per week as I had (and still have) a full-time day job. The other great thing is that it has the potential to make you a boatload of money. And so before we dive into exactly how you can use SEO to boost your affiliate income, I want to show you an example of this model in action (and how truly successful it can be). If you’ve ever done any shopping online where you wanted to read a review before buying a product, then you’ve probably heard of a website called The Wirecutter. Today, it’s a massive website owned and operated by the New York Times with nearly 100 staff and writers. But before that, it was a small website created by one guy (Brian Lam) in 2011 that set out to help technology fans shop for the best gadgets by creating the most in-depth and resourceful product reviews found on the internet. Seriously, check out one of their “best of” posts and see for yourself: this random one I just plucked off their front page clocks in at nearly 8,000 words and is insanely detailed. 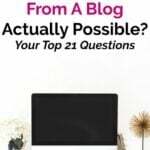 (Note: I’ve put together a bonus resource at the end of this post that will show you how to create your own epic affiliate content that ranks highly in Google). And so if you were on Google and searching for something like “best bluetooth headphones” there’s a good chance you would land on The Wirecutter, click one of their affiliate links, complete your purchase on Amazon, and Brian would make his affiliate commission. And after five years of creating this type of affiliate content and ranking in Google, in 2011, Brian sold The Wirecutter to the NYT … for 30 million dollars. The crazy thing about this story is how dead simple Brian’s business model was. He didn’t rely on Facebook or Pinterest to get traffic to his site. He didn’t sell any of his own physical products. He didn’t sell any info products like ebooks or courses. And he didn’t use any display ads. Instead, Brian focused on just TWO strategies—SEO and affiliate marketing—which made him a multi-millionaire in just five years. But what it does prove is that the SEO + affiliate marketing model can be quite lucrative … if you know what you’re doing. One is understanding search intent … and the other is the importance of relevance. Do you notice how the title for every single Wirecutter post follows the same format? Best Dog Toys … Best Foam Rollers … Best Tax Software … Best iPad Keyboard Cases … etc? Believe me, this is not by accident! Namely: they are looking for information before they are about to BUY something. And as affiliate marketers, these are the best type of users to attract to our blogs! In sales and marketing speak, they call this the “bottom of the sales funnel”—searchers who already know what a product is and how it can benefit them, and now they’re just looking for a bit of information before buying! Say you are just getting into health and fitness and you’ve read that using a foam roller is a great way to get into shape. Now, there are many different things you could be searching for in Google to learn more about this. Let’s take a look at each one these and see why it’s important to to keep search intent in mind when we’re creating our content. This keyword gets more than 22,000 searches per month, which is great … but consider the searcher intent. If you’re looking for “foam roller exercises” … chances are, you already own a foam roller and aren’t looking to buy anything. You’re just looking for some exercise ideas that you can try out with your foam roller. So while this is a great keyword to rank for if you have a health or fitness blog … it probably isn’t the best keyword to go after from an affiliate marketing standpoint because there’s no obvious affiliate offer you can drive them to. This keyword gets more than 8,000 searches per month, but again … remember the intent behind the search and where the searcher is in the sales funnel. If you’re searching for foam roller benefits, you probably don’t own a foam roller yet … which is a good thing if we had a fitness blog and ranked in Google for this keyword, because there’s the chance we can always recommend them one. However … if you’re searching for “foam roller benefits” you’re really only in the middle of the sales funnel, and you aren’t necessarily ready to buy yet—you’re likely just looking for more information before deciding if you even want a foam roller at all. But as affiliate marketers, we can do better. You just don’t know which one you want yet! And so you’re looking to get a trusted opinion on which one to buy before making your purchase … and once you read a review that nudges you convincingly enough toward a specific foam roller, you’re going to take action and make your purchase. This means that you are at the bottom of the sales funnel. In plain English: you are ready to buy! And that’s because they know that someone who is searching for the keyword “best foam roller” is looking to buy a foam roller! And because they are looking to buy, these types of posts convert extremely well with affiliate offers (here’s my Amazon conversion rate). And as affiliate marketers, this is the type of audience we want to attract to our website, and we want to create content that targets these types of Google searches. Important side note: I do want to be clear here about one thing … I do NOT recommend that you ONLY fill your blog with “best of” type affiliate posts. It will come across as extremely spammy, overly salesy, and Google and your audience will see that you’re only creating content to make affiliate sales, not to benefit your readers. My recommendation here is that when you DO decide to create affiliate-type content (however often that may be), that you keep these tips in mind. Cool? Ok, now that we understand the importance of search intent and why we want to target searchers who are at the bottom of the sales funnel, I want to quickly discuss the concept of “relevance” and why it’s critical to ranking in Google. So let’s say my wife and I need to buy a crib mattress but we have no idea which one to get, so we hop onto Google and type in the keyword “best crib mattress”. Now before we look at the results Google gives back, let’s think about what types of websites we would expect to see on the first page for this search term. For example, would you expect to see a personal finance site ranking on Page 1 for “best crib mattress”? How about a gardening site? It’s probably not a big surprise to you that none of those niches are ranking on page 1 for the keyword “best crib mattress”. In fact, the first eight results are sites specifically about sleep or babies. But why is Google choosing to rank sleep sites and baby sites but not a travel site? Because a sleep site or a baby site is extremely relevant and topically related to the search query “best crib mattress”! And intuitively, this makes sense, right? We would expect to find these types of sites ranking on page 1 for this keyword. But I bet when you’re creating content for your blog, you’ve never really thought about this, have you? 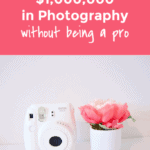 I mean, I can’t tell you how many “personal finance” bloggers I see that have dozens of posts on their site about home organization, traveling through Europe, and Instant Pot recipes. But if you’re doing this, you’re confusing Google about what your site is actually about, and you will generally have a hard time ranking for most types of keywords because you aren’t really relevant to one specific niche. (There are exceptions to this, mostly big sites that have a LOT of links and authority). If you have a tightly focused blog that really covers one niche very in-depth, Google will start to see you as an authority on the topics in your niche, and you can outrank bigger and more powerful sites just because you are more relevant to a user’s search query than they are. Scroll back up to our “best crib mattress” example. The site ranking #1 for that keyword is … a relatively small mommy blog. And did you notice who is only ranking #10? Yes, a mommy blogger is outranking a 30 million dollar NYT website that has 100 staff and writers and a lot more “authority”. Simple: Google sees the mommy blogger as being much more relevant to that keyword because the content on their site is so tightly focused on pregnancy and mom content. Bottom line: relevance is one of the most important SEO factors and I want you to keep this concept in mind as we discuss keyword research next because you want to be very intentional with the keywords you go after. So now that we understand searcher intent and the importance of publishing content that’s relevant to our niche … it’s time to go find some keyword ideas and post topics that we can publish to our site. There is so much information out there about “keyword research” that I can’t blame you if your eyes glaze over whenever you hear the term. So I’m going to try to make things as direct and simple as possible while also being actionable. What Makes A “Good” Keyword? Let’s take a look at both of these a little more in-depth. We’ve already discussed “relevance” ad nauseum so let’s tackle the other part of this one: going after keywords that will further your end goals. (If you’re creating content on your blog that isn’t furthering one of these goals, you should probably ask yourself why you’re creating it in the first place … but that’s a topic for a whole other time). Ok. So when we’re looking for keywords to build blog posts around, we want to keep these three goals in mind. 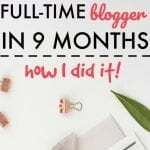 Bullet journaling is extremely relevant to the “productivity” niche and you can monetize a post like this with affiliate links to all sorts of bullet journal supplies like notebooks, pens, highlighters, etc., so it furthers your end goals. And it’s not a keyword that gets a lot of search volume (relative to display ads) so monetizing the post with ads wouldn’t make you much money at all. So we know that our keywords should be relevant to our site and should serve at least one end goal, but there’s another crucial concept to keep in mind and that’s “keyword competition”. Think about it: for every search term you type into Google, they can only show you ten results on the first page. (And if you’re not ranking in the top 10, you’re basically non-existent). And if there are ten other sites competing for the same keyword as you that are more relevant and have more authority (links), you’re going to have a really hard time ranking. So before we decide to go after a keyword, we have to figure out how “difficult” it is. We just have to do a little research and make our best judgement call. And I’ll cover how to do exactly that in the next steps. Note: while we know that you can monetize your site with your email list, affiliate marketing, and ads … for the purposes of finding keywords in this section, I’m going to focus solely on keywords that we can monetize with affiliate marketing. Ok, so if I’m looking for keywords that we can use for affiliate marketing, the first things I like to do is brainstorm ideas that are specific to my niche. Let’s say you just started a blog about gardening and growing all types of plants and vegetables. And you also know that as a gardener, there are certain items and products that you have to purchase in order to make yourself a more effective gardener. You also know that Amazon has a very popular affiliate program that sells lots of gardening tools. Since you are a gardener yourself, off the top of your head you could probably come up with a pretty solid list of products that you use. For example: gardening gloves, weed killer, a garden tiller, knee pads, a gardening wheelbarrow, and a gardening shovel are all products that you’ve maybe used before as a gardener. (I’m not a gardener so I’m making this up as I go along). Your goal should be to fill this spreadsheet with as many products that make sense for your niche and which you’ve (ideally) used yourself. After brainstorming your own ideas, you should head over to Amazon and find the main “department” page for your niche. On this page you’ll find all the best-selling products in the entire “department”, and just browsing through this page should give you more product ideas that you’ve used. Rinse and repeat as you make your way down the page. You can also see in the left side column that Amazon has helpfully listed out a bunch of sub-categories for us, such as hand tools and pest control. You should focus on products that you’ve actually used before, because when it comes time to writing your post, you’re going to essentially be “reviewing” the product! Now that you have some ideas from brainstorming, it’s time to check our what your competition is writing about. My absolute favorite way of finding keyword ideas is seeing what my competitors are ranking for, and then creating a similar, yet unique (and better) piece of content. While there are a few different ways to come up with a list of your competitors, the best way to do this is by simply understanding your niche and the other bloggers who are writing about it. For example, if you’re a gardening blogger … chances are, simply by being involved in the niche, you probably know of (at least) 10 other gardening blogs! So those are the 10 competitors you would start with. Important disclaimer: you have to be careful here and not go after huge sites with a lot of “authority”. For example, Better Homes and Garden is a massive site with huge “authority” and they are definitely not a “competitor” of yours if you had a garden blog. As you can see, at this time of writing, BHG has a Domain Authority (Moz’s prediction on a 0-100 scale of a website’s ranking potential) of 83, which is extremely high! You don’t want to compete with them on keywords because they will be very hard (though not impossible) to outrank! Again, these are only loose guidelines but I find them helpful. So let’s say your gardening blog has a DA of 30 … clearly, with a DA of 83, Better Home and Garden would not be a competitor. But what about this gardening blog? Ok, so what we’re looking at here are the top 10 keywords on epicgardening.com that are bringing in the most traffic to their site! 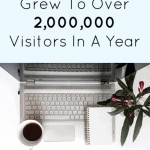 It means that we know that writing posts about “coco coir”, “hydroponic systems” and “peat moss” are bringing this site a good amount of traffic. And if it’s bringing them traffic … why can’t you write blog posts about the same topics so that those keywords bring you traffic? Remember, right now we’re only worrying about content ideas that are related to affiliate marketing, so I want you to focus your attention on the second keyword on that list: “full spectrum led grow lights”. After a little bit of digging, it turns out these lights are used to help grow plants and vegetables indoors … sounds like a perfect product to add to your list! You should do this process with every competitor domain that you’ve identified: plug them into SEMRush, look at their top organic keywords, and see if there are any affiliate marketing-related products that you can add to your spreadsheet. I should note that the limitations with the free SEMRush account are that 1) you can only see 10 keywords per domain, and 2) you are limited to a certain amount of free searches per month. So, if you are serious about it, you may want to consider signing up for the one-month free trial. Now that we have a big spreadsheet full of affiliate product ideas, we’re going to create our keyword ideas and get a rough idea of how many searches per month they’re getting. Why do we need to add the modifier “best”? Remember earlier when we discussed searcher intent and the sales funnel? We know that when people are Googling keywords like “best gardening gloves” that they’re very close to buying but just require a little more information, and when people are ready to buy, that means affiliate commissions for us! But there’s another searcher intent reason that we need to add the “best” modifier. Just look at this Google search result for the keyword “gardening gloves”, without the modifier “best”. Do you notice a trend of all the sites ranking at the top of Google? They are all e-commerce or online stores who actually sell the product! And this is because Google understands the user intent of someone searching for the term “gardening gloves”—this person isn’t interested in reading any content or reviews before buying, they simply want to buy right now. And that’s why you don’t see any blogs or content sites ranking for this keyword … because there aren’t many (if any) blogs that actually sell gardening gloves. And this is exactly why we need to add the “best” modifier in front of all these keywords: to match the searcher intent (someone looking for information or reviews of gardening gloves) with the content on our blog (an in-depth overview and review of the best gardening gloves). Ok, now it’s time to check the search volume for each of these keywords so we can get a rough idea of how many times each keyword gets searched for each month. Note: many people wonder what a “good” search volume is for any given keyword. While I really don’t have any hard and fast rules, generally speaking, for an affiliate-related keyword, I will consider anything that gets 100+ searches per month. Even though we’re using the “keyword difficulty” tool, the data we’re actually interested in is the “volume” column. We are making great progress. The last step we have to do is try to determine how difficult each keyword is, and if we have a shot at ranking for it. You could come up with a list of 100 keywords using this method that you think are great, but if you can’t rank for them, then what’s the point? That’s why we need to check the competition for this keyword. Here’s some bad news, though: there is no single tool or method that will give you a definite “yes” or “no” answer on whether a keyword is “too competitive” for your site. While these tools do exist—SEMRush has one, but we won’t be using it because it’s extremely confusing and not really that accurate—I find it’s better to do this by simply Googling the keyword we’re going after, and doing a manual analysis of the sites ranking in the search results. At the end of the day, this process is more art than science, and you’re going to have to make a judgment call yourself. But at least I can show you how I do it. First, head on over to the Google Chrome Store and download the MozBar extension. Remember how earlier we used the Moz Open Site Explorer tool to check out a website’s Domain Authority? This extension does the same thing but it lets us see the DA in the Google search results. What types of websites are ranking on Page 1? Are they all gardening sites, review sites, or big “authority” sites like Better Homes & Garden? For this search result we can see that there are several general “review” sites ranking at the top, which is good news for us, since our gardening blog is much more niche relevant. With the MozBar extension turned on, we can see the DA for each site that’s ranking in the top 10. Remember our rule of thumb earlier: it’s smart to go after sites that have DAs that are close to our own, or if you have a brand new blog, to go after sites with a DA of 35 or lower (I will stress again however that this is only a loose guideline). In our “best weed killer” example, we can see that a site with a DA of 28 is ranking #1, while another DA 28 site is ranking #5, and a DA 26 site is ranking #9. These are pretty low authority sites all ranking on Page 1, and so if our gardening blog is a DA 30, we can definitely compete with them. On the other hand, Home Depot has a resource that’s ranking #3, and of course their DA is extremely high, so that’s something to keep in mind. Note: when you’re doing doing this exercise, just ignore anytime an Amazon product page or YouTube video is ranking—there’s no need to factor those into your analysis. Typically I will open up each result from Page 1 in a new tab and scan to see how good their content is. For example, for the site ranking #1, their post is actually pretty decent: it’s 5,000 words, is pretty well designed, and the writing itself is up to par. If I’m going to write a post targeting this keyword, I want to create the single best resource on the topic anywhere on the internet! And if the site ranking #1 has an in-depth 5,000 word guide, it’s something I will need to consider. My overall analysis for this keyword? Extra step: if you do use a keyword tool like SEMRush or Ahrefs, it definitely doesn’t hurt to check their “keyword difficulty” metrics to cross-check against your analysis. This is the Ahrefs tool telling us that “best weed killer” has a “keyword difficulty” of only 3 (out of 100), which is very low (low = good) and confirms our analysis. Now it’s time to update our spreadsheet, noting whether we think we can rank for the keyword, or whether it’s too difficult. You’ll have a giant spreadsheet of keyword and post ideas that you can use for your blog! And really, what more can you ask for than that? 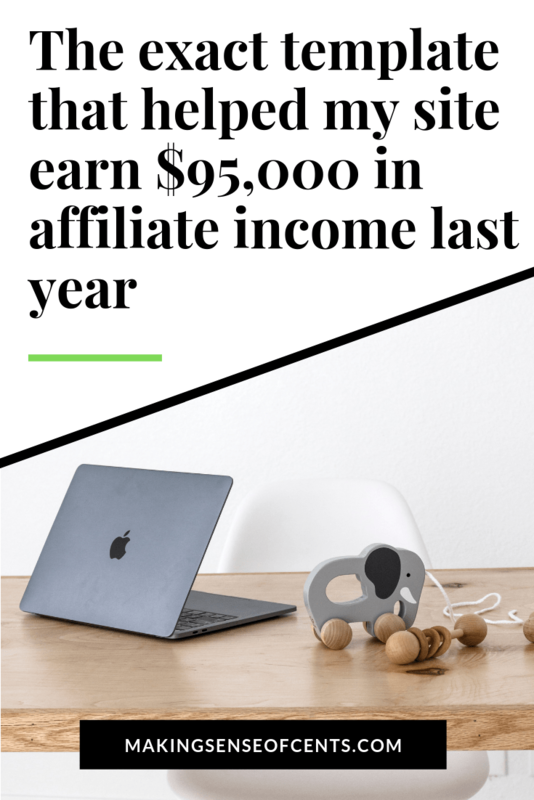 This is the plan I followed when I was hunting for profitable affiliate keywords when I was building out my site in the outdoors niche into a $95,000 per year passive revenue stream. So, I’m giving you a few bonus resources to help you along. First, I’ve put together the exact content template I use on all my affiliate blog posts that you can implement to drive traffic and conversions over to your affiliate partners (like Amazon). Second, I’ve created a video of me going through the content template and showing you plenty of real-life examples that you can use as inspiration. Third, for one person reading this post, I will send you a nicely formatted list of hundreds of keyword ideas from your competitors (using Ahrefs), including keyword, search volume, and keyword difficulty (you just need to send me a list of 5 competitors). To get access to all the freebies, just sign up for the bonuses here. About the author: Mike Pearson is the blogger behind Stupid Easy SEO, where he helps other bloggers rank higher in Google with SEO and get more organic traffic to their blogs so they can make more sales. You can check out his SEO For Bloggers guide here. Thank you both Mike for sharing and Michelle for having Mike guest blog! This is the exact information I’ve been searching for and never quite understood with SEO 🙂 Thank you!! I will be starting to implement these steps tonight! Wow, Mike Pearson! This is SO incredibly thorough and helpful! Thank you for taking the time to share your knowledge and expertise! What an amazing article, Mike! This helped me figure out a few new things to try to boost my SEO. So much detail, wow, thanks so much Mike, this is gold!! I love this about search intent, something I overlooked a lot in the beginning. Thank you!!!! Such a great article!! Found my way here via your March 19′ income report, Michelle. Thank you to both you and Mike for providing such an amazing STEP BY STEP guide to keyword research. I am going to try this immediately!! Excellent and simply explained strategies for SEO. Thank you both Mike for this and Michelle for being generous in sharing.No wonder you are so successful! !